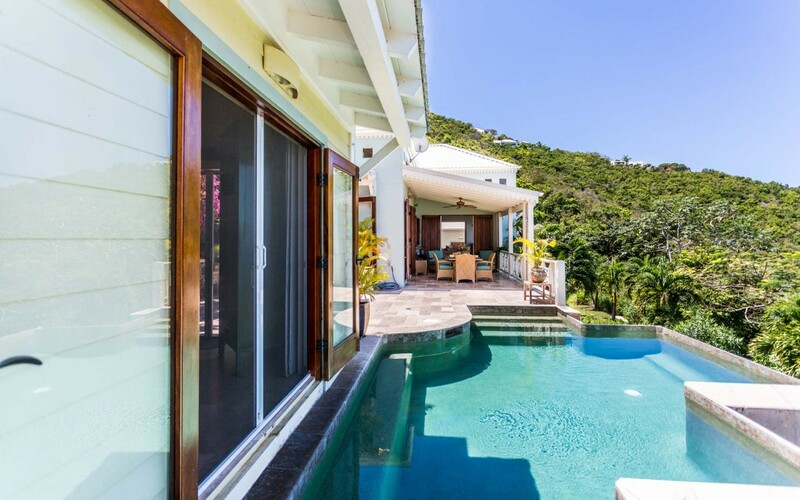 Villa The Blessing Tortola, BVIs. 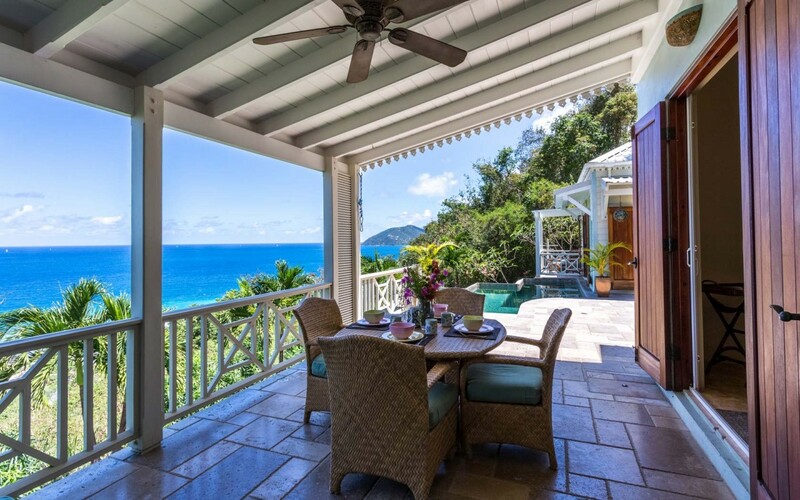 Set on a hill looking out over Long Bay on Tortola in the British Virgin Islands, Villa the Blessing is an idyllic retreat just two minutes (by car) from stunning Long Bay Beach. 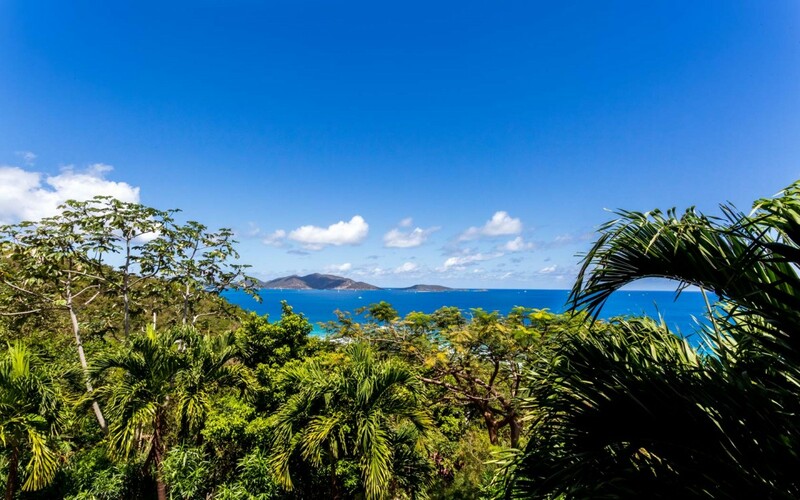 Completely private, it sits in a private garden setting and is surrounded by lush growth on one side and amazing sea views and scenery on the other. 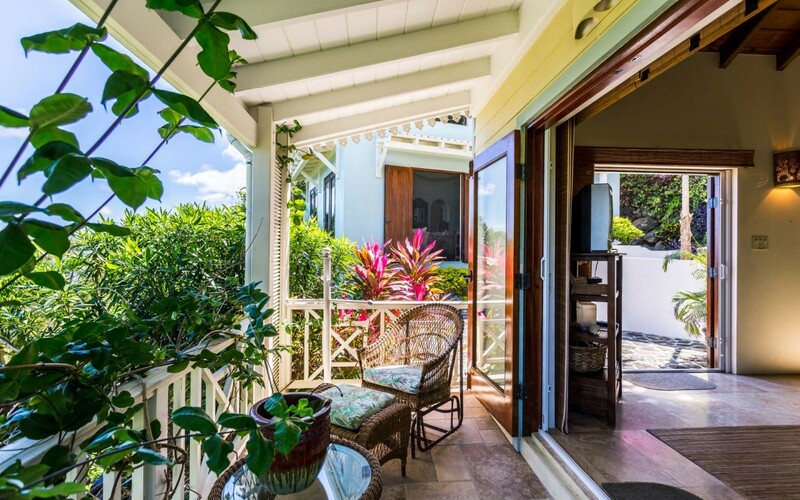 Designed in a charming island style, it has premium amenities and décor often reserved for significantly larger properties. 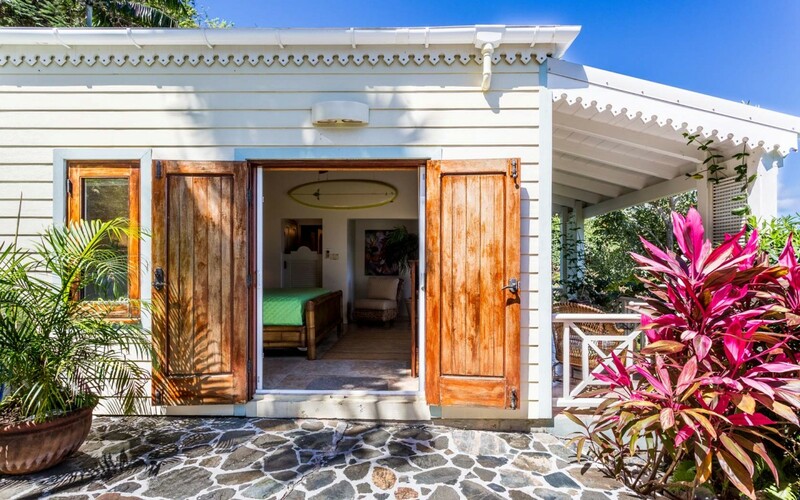 This two-bedroom gem is the perfect getaway spot for two, a small family or set of friends. 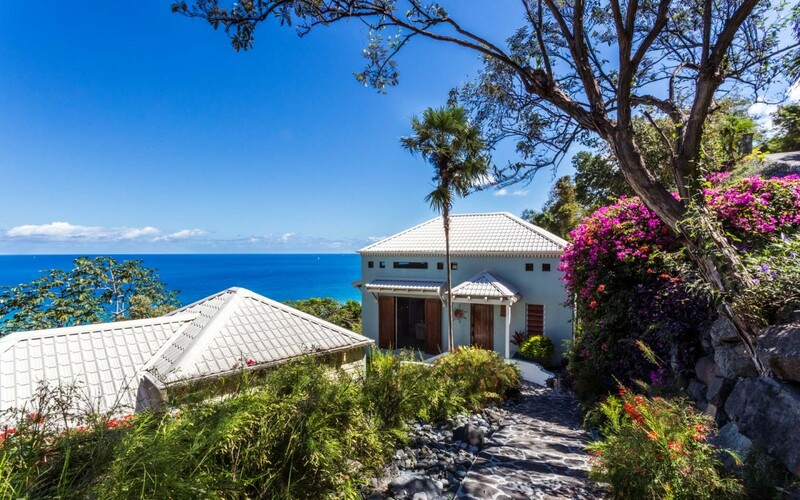 Make your way through the lovely wooded path to the villa and then gaze in wonder at the stunning view from your large and private terrace. 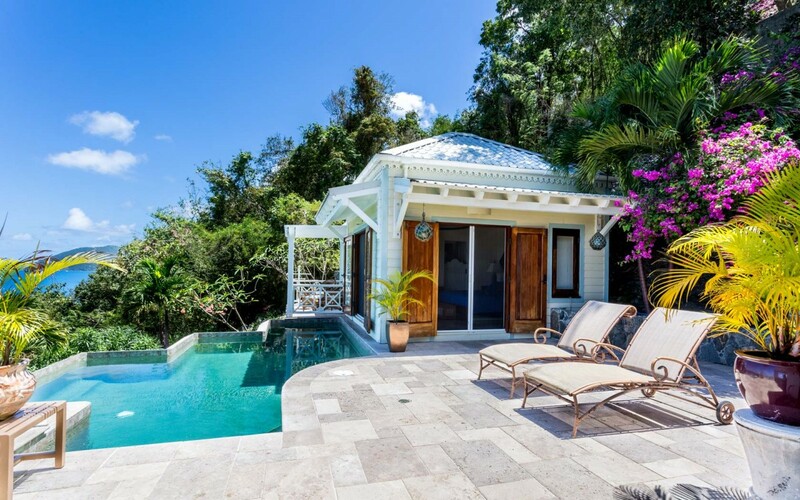 The property is divided into a main villa and small bungalow, and between them is the stylish stone terrace with oversized and infinity edged pool, furnished sun deck, and spacious covered terrace. 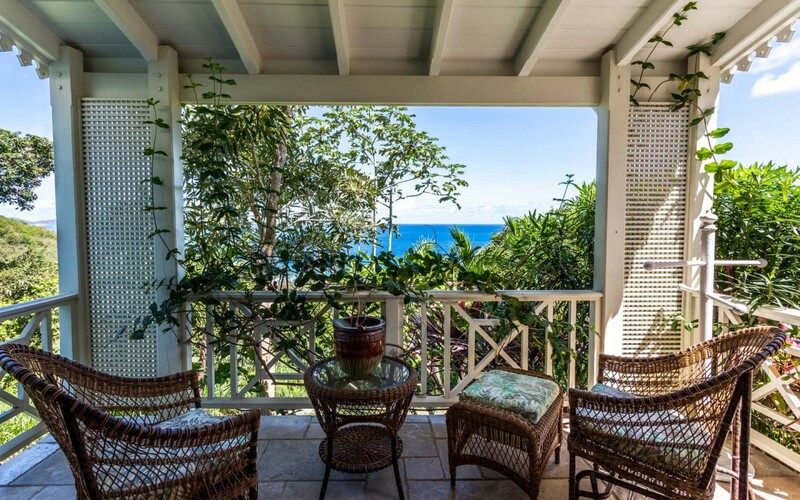 From the main terrace, you can savor meals at the al fresco dining suite or relax in the shaded lounge. 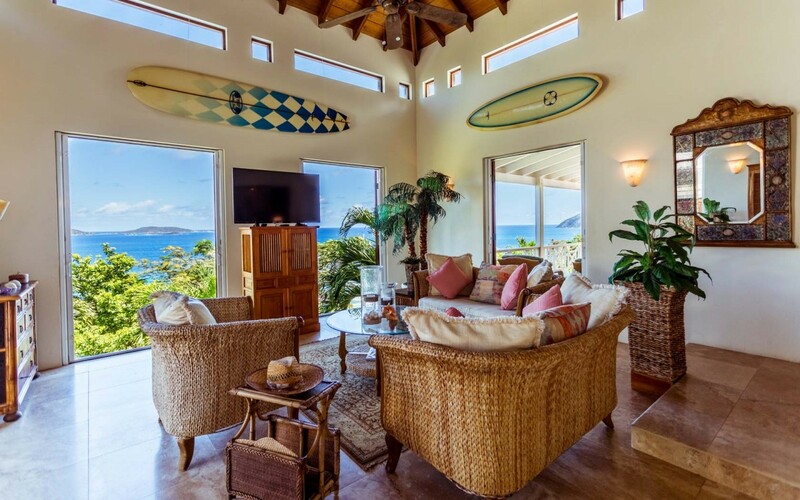 The bungalow also has a furnished porch, too. 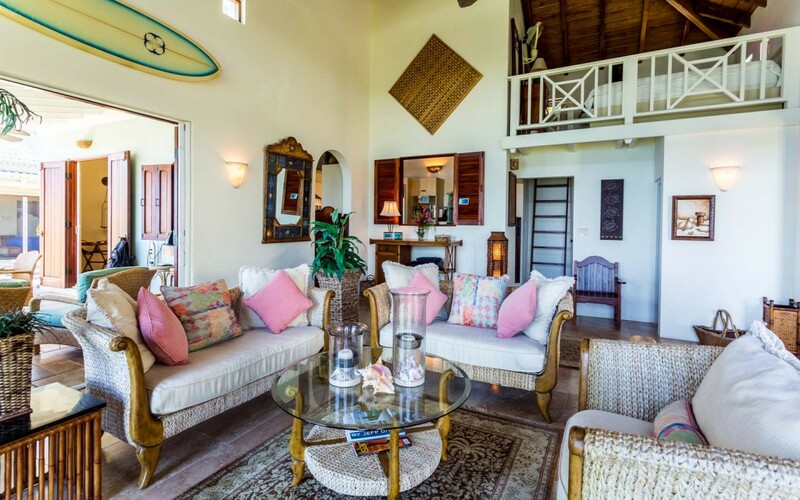 Inside the main villa, the unique décor creates a Bohemian theme and the charming interiors easily blur lines between indoors and out. The great room features cathedral ceilings with an upper level bedroom loft gazing down from above. 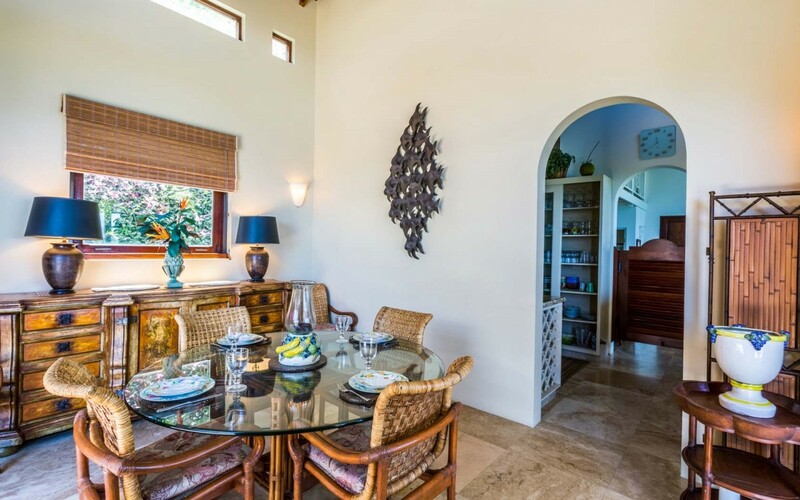 There is the cozy lounge, the roomy dining area and arched doors into your gourmet kitchen. 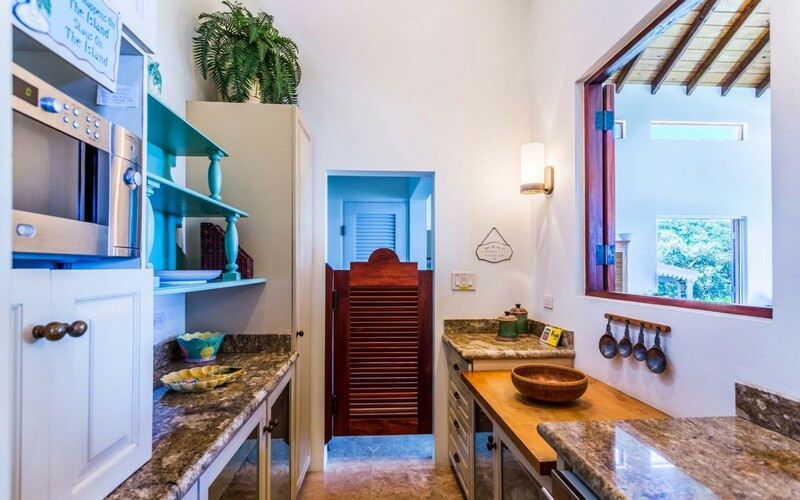 Opening to the terrace, it allows you to whip up meals or drinks while savoring those amazing sea breezes. 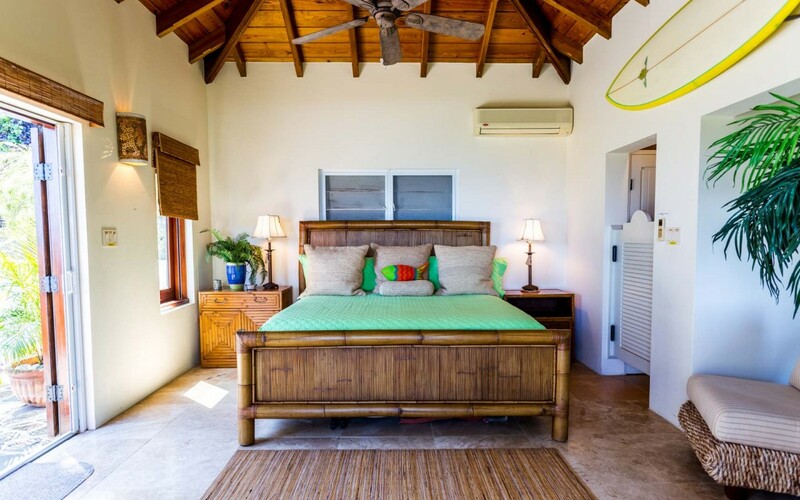 The two bedrooms are divided between the main house and the bungalow (with a third sleeping area in the great room loft). 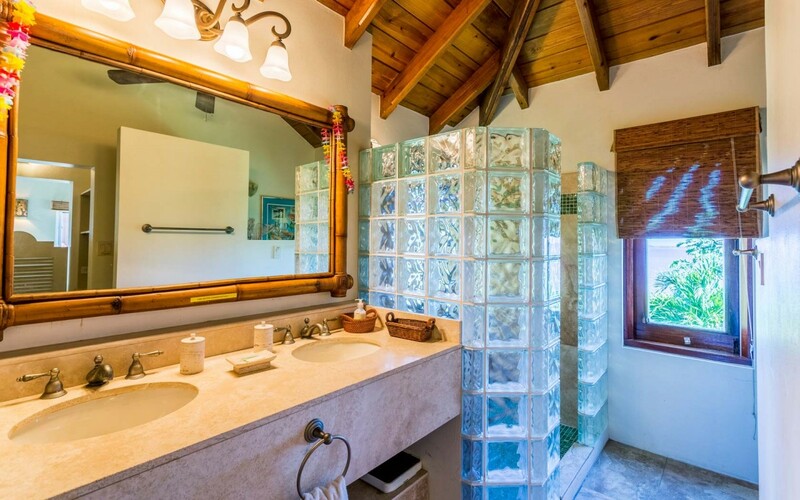 Both are king sized and one has terrace access. 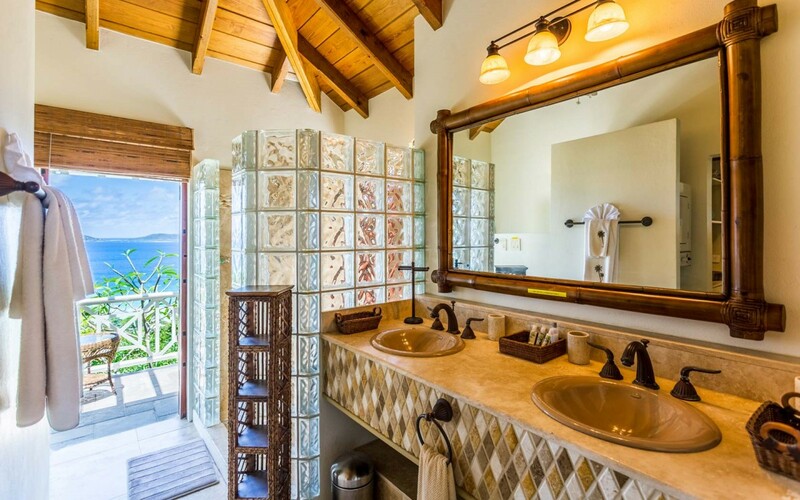 Both have sea views and private baths. 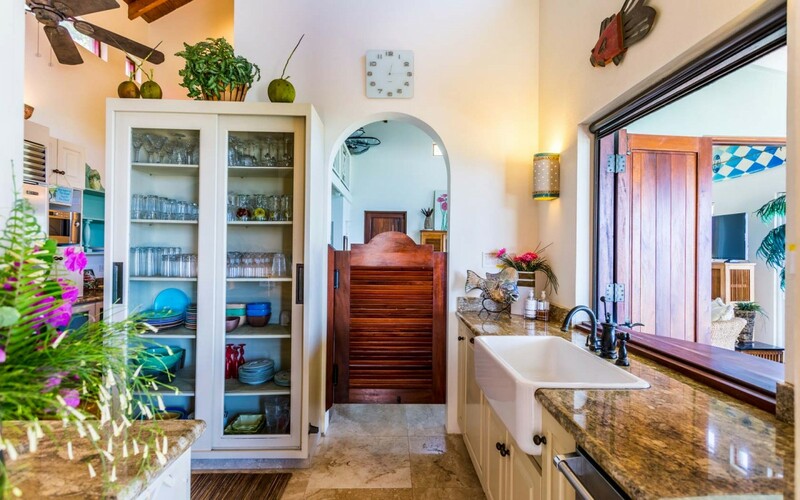 All of these features make Villa the Blessing an unforgettable option ideal for your next visit to the BVIs. 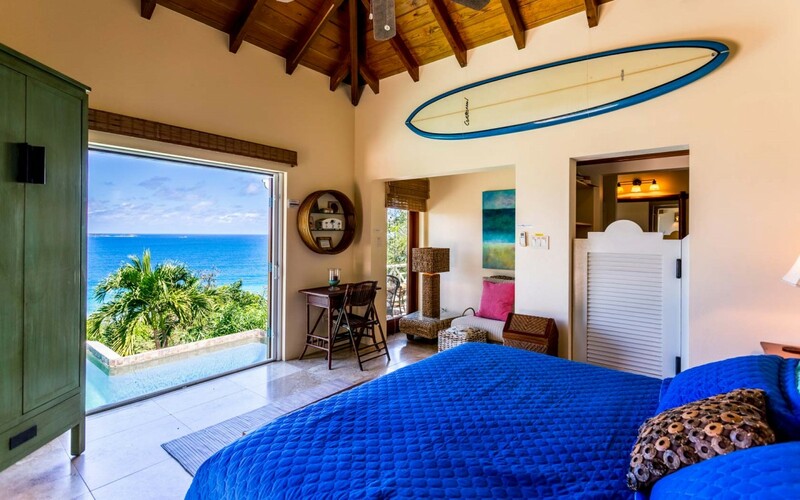 Bedroom 1: Master bedroom with a king-size bed, A/C, TV, direct access to the pool terrace with ocean views and en-suite bathroom with shower, double vanity and WC. 2 guests maximum. 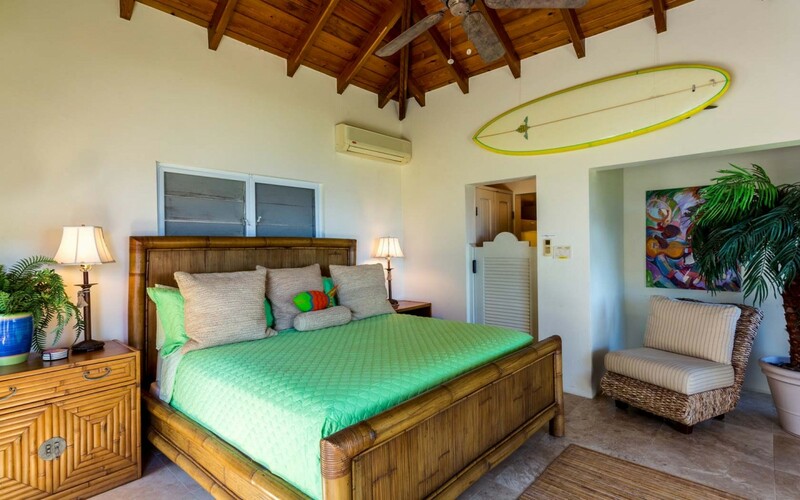 Bedroom 2: Bedroom with a king-size bed, A/C, TV and en-suite bathroom with shower, double vanity and WC. 2 guests maximum. 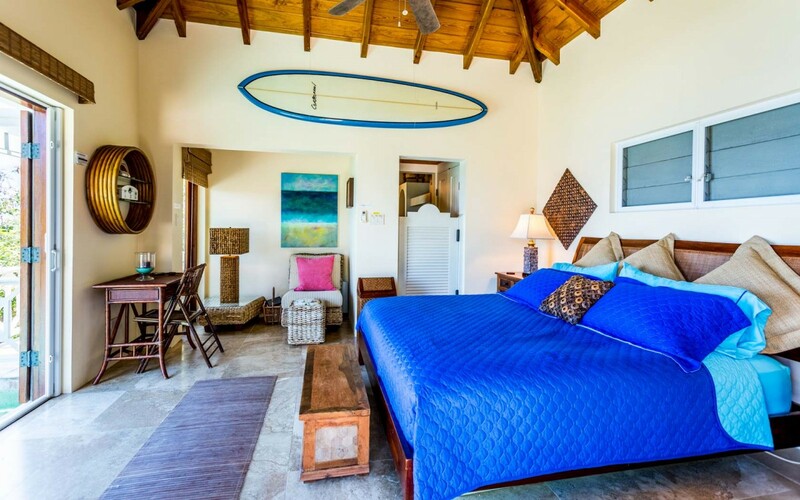 NOTE: 3rd bedroom on the mezzanine with a queen size bed, sharing bathroom with bedroom 2. Not available over the holidays period. The Blessing is currently undergoing a renovation. 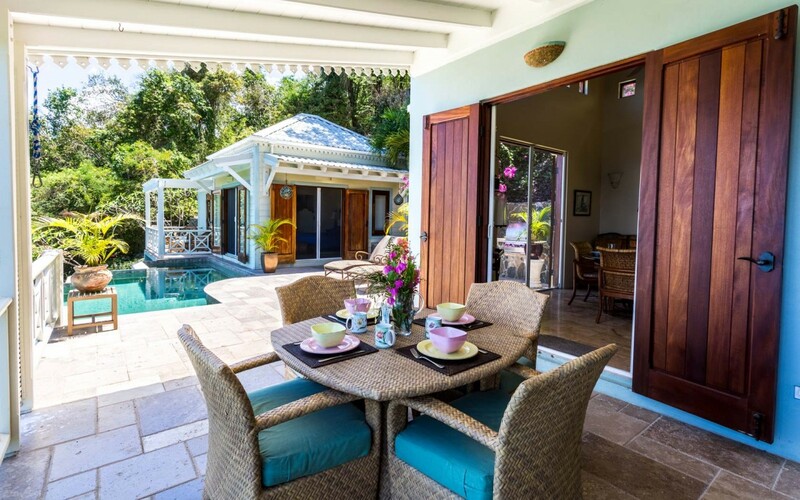 The property is expected to relaunch towards the end of April 2019. Further information to follow and in the meantime, use the current villa photos as a guide. Note: The rates above are subject to 20% Tax/Service Charge.